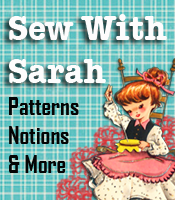 Monday, February 21st is President’s Day and to celebrate Hancock Fabrics is having a big sale, plus they’ve put out an early bird coupon good for 10% off your entire purchase from 8 a.m. to 12 p.m. Print the coupon for use in the store, or use promo code ETNZF to take 10% off your online purchase. Get Paid For Your Old Books – Extra Cash! I recently cleaned out our “junk room” so I can have a larger office space and I’m thrilled to have also made $85.77 for my effort! I divided up all the books that I came across into piles of the ones I wanted to keep and those I just didn’t need anymore, then typed all of the ISBN numbers in at Cash4Books to see what they were worth. 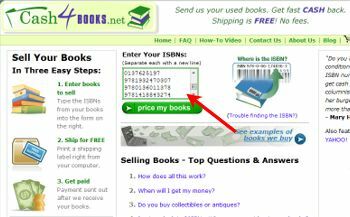 Of the 15 books that I typed in they offered to buy seven of them for a total of $85.77, with some of the highest paid ones being business and how-to type books. They pay for shipping and there are no other fees, I even got a free upgrade to FedEx shipping since I had more than five books to send in. You can request a check or choose get paid through PayPal, which is the option I selected. Another cool thing you can do with Cash4Books if you have some spare time and would like to make a few extra bucks, is that you can use any cell phone with Internet access to look up what they’ll pay you or books before you even buy them! You can look up books you find at garage sales, flea markets and used book stores to see if you would make a profit. They even have an Android app that allows you to simply scan a book’s ISBN to get an immediate quote. As for me, I’m just happy to have been paid to clean out my new office space!